Scott Nelson is a small farmer/rancher, living just a few miles north of the Cannonball river and Standing Rock Indian Reservation in south west North Dakota. He lives on the farm homesteaded by his Grandfather in 1908. Scott is a self taught artist, he started drawing as a small child as soon as he learned to hold a pencil. Scott works with pen and ink, water color, acrylic wash, and oils. His subjects are mostly western, contemporary and Historical. Scott has illustrated several books and has been published in a number of magazines. 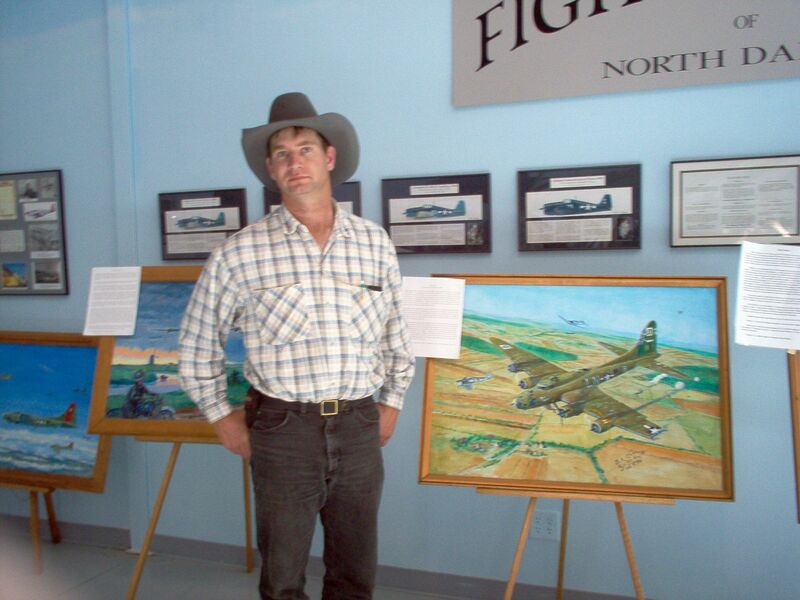 He has contributed artwork to the North Dakota Cowboy Hall of Fame Chronicle. For the past several years, several of these original paintings were on display in conjunction with the North Dakota WW II Exibit at the Heritage Center, ND Capital Grounds, Bismarck ND. Of the thirteen oil paintings, 6 have been made into limited edition prints, 350 signed and numbered, 50 artists proofs with remarqes. The veterans have graciously signed most of their respective prints.